With this technique it is now possible to weld through quartz glass on a monolithic basis. 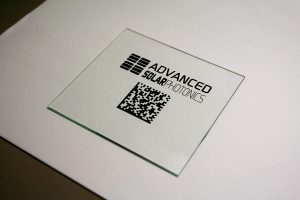 This has far reaching implications in the design and manufacturing of any device that uses quartz glass as a fundamental component of its mechanism . Quartz glass structures can now be built to virtually any size with optically or acoustically clear monolithic joints. Previous methods based on gas or conventional laser technology are limited in the thickness of the weld to only 2mm or cause distortion of the component unacceptable to its required performance parameters. 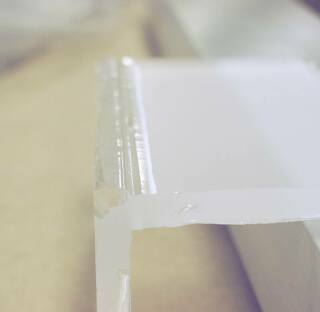 Our process can weld joints of up to 100mm deep with weld characteristics similar to that of monolithic quartz glass. Using these methods, it is possible to form the weld with minimum stress in the weld zone without the deformation normally present in such a process. The result is that the characteristics of the weld are similar to that of the surrounding monolithic quartz glass. Carriers: For silicone wafer processing in the semiconductor industry. Optical Telescopes, mirrors and astro physical devices. Cuvettes: For the semiconductor and liquid laser applications. Quartzglass improvement: For removing manufacturing or other defects such as air bubbles, inclusions and internal scratches. This has very important implications for the rectification of expensive otherwise scrap components. Quartz glass powder cleaning: The process can be used to clean raw quartz powder to a very high purity by selectively removing impurities with the beam.